Though owning property can be lucrative, it can also come with some risks. If you’re a landlord and want to make sure you protect your rights, a Richland Hills TX landlord lawyer at Girling Law is here to help. Both renter and landlord must adhere to the terms and obligations outlined in the lease agreement. Texas law allows this lease agreement to be written or verbal. But it’s important to remember that only a written lease can fully protect your rights and interests. Unfortunately, verbal agreements are often manipulated and misconstrued. In contrast, a well-written lease will clearly state every detail of the agreement, which makes it nearly impossible to distort. When Can You Enter a Rented Property? The state of Texas protects tenants privacy rights. This means that your rights to enter a rented property are very restricted. Furthermore, though no specific time frame for entry notice is outlined in the law, we recommend giving your tenants at least 24 hours’ notice. Never under any circumstances enter a rented property for any other reason that is not outlined in your lease agreement. Doing so will not only open yourself up to civil liability, but will also give your tenant grounds for early lease termination. Under Texas law, you as the landlord can determine the requirements and amount for security deposits. You can also choose where to hold that money. However, remember that you are legally obligated to return that money within 30 days from the date your tenant moves out. Always keep detailed records and notes for any funds you withhold from a tenant’s security deposit. That includes taking videos or pictures of damages, as well as keeping any receipts for repairs or cleaning costs. If you do not keep such records and notes, your tenant can try to dispute your reasons for keeping their deposit. Also, you should always return your tenant’s security deposit on time (within 30 days). Otherwise, your tenant can sue you for up to three times the amount of the original deposit and for any attorney or court fees. If you’re considering withholding funds from a tenant’s deposit, but you’re not sure if your situation allows it, speak with an experienced Richland Hills TX landlord lawyer today. Your written lease agreement will state your responsibilities and duties for keeping up with property maintenance. If you refuse to make any necessary repairs, you allow your tenants to complete the repair themselves. Your tenant can then deduct repair costs from their rent. Often, disputes arise when tenants conduct property maintenance. If one of these disputes ever progresses to litigation, your Richland Hills TX landlord lawyer will help defend your rights. If you’re unsure whether you can evict a tenant or not, consult with a Richland Hills TX landlord lawyer beforehand. 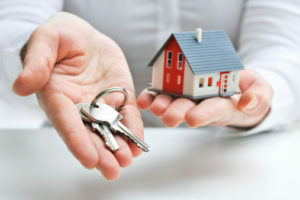 Defend your rights and interests as a landlord by speaking with a Richland Hills TX landlord lawyer at Girling Law today.